From the Hancock County Courthouse, go 12.2 miles on Hwy 16 East toward Jewell, Ga. Turn left on the Jewell-Mayfield Road. 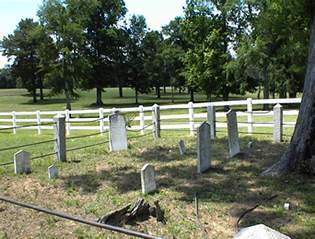 Go approximately 1.2 miles to the Rock Mill Plantation on the right side of the road. 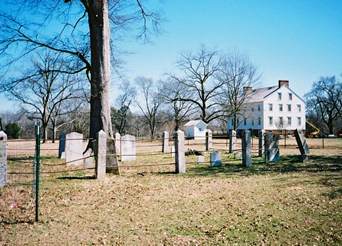 Gain permission to see the cemetery, which is behind the Rock Mill Plantation house. "Thou art gone but have left many friends, Brother. "Jesus lover of the young. Sister"
"Righteous die every where, Mother"
"Thou art gone but thy memory is bright, Brother." "Rest, Father, for thy labors are ended." Built Rock Mill plantation in 1818, per "Houses of Hancock" by John Rozier. Possible unmarked grave - field stone.